We had so much fun at the BlogPaws conference and our friends at Petsmart gave us a Unicorn costume for Lexi to wear. I'm not sure what happened to the ears of this costume because we all know Unicorns have short pointy ears like horses and these look more like elephant ears but I digress. This is Wonderful Wordless Wednesday so today you have two photos to caption. What caption would you put under photo number one? What caption would you put under photo number two? Since I am currently at the BlogPaws Pet Blogging Conference today I just wanted to do a post on some photos I took last week. We live near the Old Homeplace Restaurant in Catawba Virginia and all the conditions were right to shoot some "Country Road" photos. This is a place we go about one a month to get some home cooked fried chicken, mashed potatoes, home baked biscuits, and peach cobbler. The food is to die for so we don't go often (because it is bad for my health but oh so good to eat). We live about 10 minutes from this farm where the Homeplace is located and we feel blessed to have such a beautiful farm so close to our farm. I hope you enjoy them and I should have lots of things to share with all of you when I get back from BlogPaws. In the mean time, stay safe from Hurricane Irene! Look at this big beautiful front porch at the Homeplace Restuarant in Catawba Virginia . In the lobby of the Homeplace there are old photos of when they were building the Homeplace. This is what the Homeplace looks like today from the front field parking area. I love this old photo. It hangs in the lobby of the Homeplace. I love it because it brings up so many memories of when I was a child when all my close friends and I had horses and we would ride them all over the neighborhood. I love, love, love this front porch! Here is Tallulah as we were heading out the door to go over to the Homeplace Restaurant. Front porch weather for sure! They had beautiful flowers throughout the grounds at he Homeplace. The cows were enjoying the cooler weather in the early evening. Such a beautiful view surrounding the Homeplace. Nitro trying to con us into taking him with us over the mountain to Catawba. Sorry, I just can't resist a photo a Tallulah's curly Pughuahua tail! This is the country road that leads to Rt 311 on the way to my house. This hill is called Hanging Rock and this is what it looked like 100 years ago. The rock on the right side of the hill still looks the same but this country road is country no more. Wordless Wednesday - What caption would you give this photo? 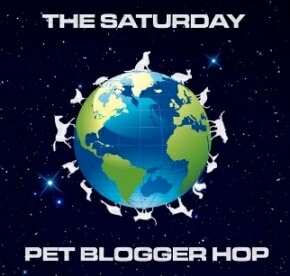 I am so excited to be attending the BlogPaws Pet Bloggers Conference next week. I am going up to Northern Virginia with my friend Kristin Guffy of Dogs Rock Dog Blog and we are going to have so much fun. We both signed up for a flat pets session with Bev VanZant (Chief of Staff at Flat Tyler). I'm sure your wondering what the heck is a flat pet! Check out her website to see flat Tyler her dog. Go to www.myflatpet.com. Bev sent us an email and said she needed us to take some photos of our dogs from a "dogs eye view" so we can make a flat pet in her workshop at BlogPaws next week. I am leaving it up to Bev to pick her favorite photo from this group below. I don't want to play favorites. It's so funny because with all the photos I take and have on hand of my dogs, I thought I would have a few photos ready to email to Bev until I realized I always go for the close up head shots of my dogs. 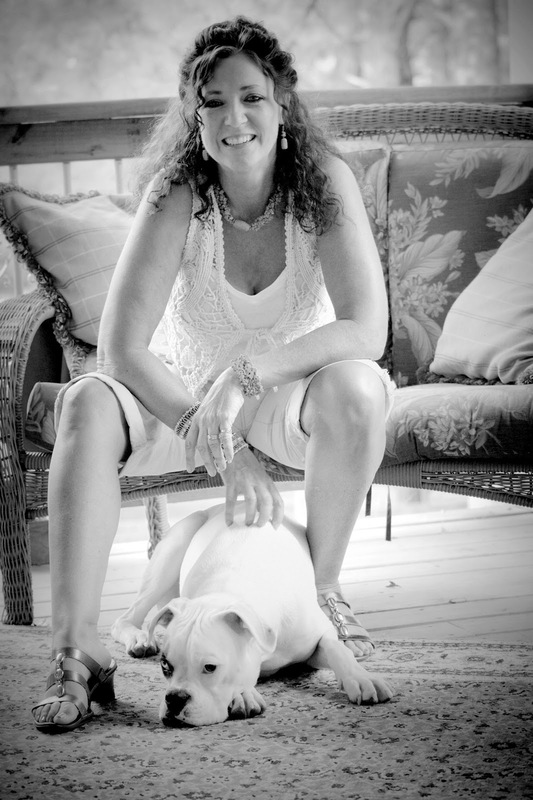 I went ahead and shot some new full body shots from a dogs eye view this week for Bev to choose from. I think the following photos for the flat pet workshop turned out pretty good. I will let you know how the workshop goes when I get back from BlogPaws. In the mean time if you get a minute, be sure to check out the 2011 Speaker Line up at BlogPaws. It might not be to late to register here. My little Tallulah worshiping the morning sun. I love this one...he is looking at me and thinking...did you just give the ASL sign for the word treat? Miss Lexi....on this shot I was saying ...here kitty, kitty, kitty...this always gets her undivided attention. Nitro when he was a weeeee little one! I decided to do two Wordless Wednesday photos for your viewing pleasure. If you have a minute put up a caption for each photo. Caption for photo # 1. Caption for photo # 2. Happy Birthday to My Boy Nitro! Today is the day we have chosen to be Nitro's Birthday. We had to estimate how old we thought he was by what our Vet determined at his first visit at Hanging Rock Animal Hospital. We all figured he was born in August of 2010 so today is Nitro's official Birthday. In honor of Nitro, I went ahead and had a little Birthday fun with one of his recent summer photos. Here he is in all his Birthday glory. I'm so glad we all made it this far because the first couple of months were very challenging (broken toe and all). Happy Birthday Boy! Nitro celebrating his first Birthday! Since it is Special Effects Sunday here at The World According To Lexi, I thought we would feature some black and white photos. Actually they all started out in color but I went ahead and changed them all to black and white. I think it is amazing how much the mood of a photo feels once you go back to black and white. Maybe it is because growing up we had a back and white TV and all of our parents photos were all in black and white. Lexi and I hope you enjoy our black and white photos this week. Happy Sunday! This is our sweet dog Dakota who passed away two years ago. Not a day goes by that I don't think about my Dakota girl. I sure do miss her. I was driving by a power line on a rainy day and I decided to park under it and shoot some photos. I got lucky with this one. A Great Dane puppy I took photos of last year. He had amazing eyes. This is a farm up in Northern Virginia I took photos of when I was with my BFF at a horse show. My beautiful, crazy horse Montana in a winter storm. There are some graphic effects added to this photo. I'm a "cloud freak" so I always have to have a couple of cloud photos in my group when I can. One of my many hummingbirds on my front porch. Leopard Appaloosa at the horse show. More birds on a wire. This was taken by me at the 2011 New River Valley Fair this year at the Horse Pull. See that look in Nitro's eye? That look is pure mischief! This is Nitro's Dinosaur look! This shot was taken by Kristin Guffy from Dogs Rock and I decided to see what it would look like in black and white. According to Lexi, Sundays Rock!